We just previously announced COBINHOOD’s ICO partnership with Zeux which COB token-holders will be eligible to receive benefits (stay tuned for the specifics)! But that’s not all, we have several major announcements we want you to know before we launch them on COBINHOOD! With Margin Trading and Funding, users can not only potentially maximize their crypto assets, but also tap into unused funds for greater value addedness. Be it a bullish or bearish market, be it that you are a high- or low-risk trader, our comprehensive margin features will always be your most reliable partner in your crypto world. With COB tokens in your COBINHOOD account, in addition to enjoy the zero trading fees, trader can have 50% off margin trading loan interest for COBINHOOD when paying with COB tokens. 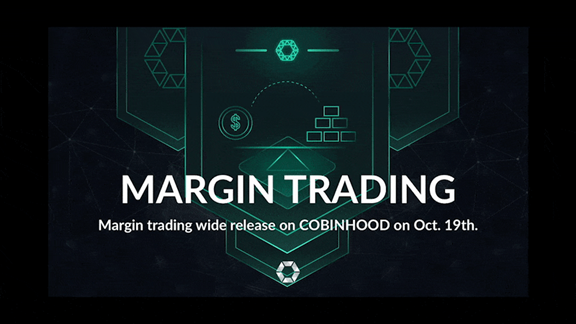 Stay tuned for more announcements regarding campaigns that will reward you for doing Margin Trading on COBINHOOD. Your COB points might come in handy, too. 1. In accordance with relevant laws and regulations, residents from the following countries will not be able to access Margin Trading and Funding. 2. All participants will need to pass account verification level 2 in order to participate. 3. The interest fees of Margin Trading does not have a fixed interest rate. Interest incurred is based on the prevailing market rate. 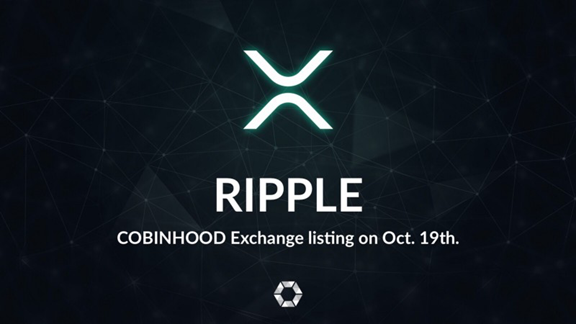 XRP listing on COBINHOOD means you will be able to deposit, withdraw, and trade XRP on COBINHOOD Exchange. Upon listing, XRP/BTC and XRP/USDT trading pairs will be available with ZERO TRADING FEES on COBINHOOD Exchange. 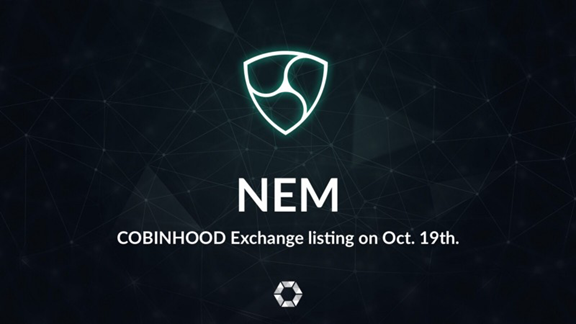 Similarly, dropping on the same day as margin trading and XRP-listing, is NEM (19th October 00:00 UTC+0), which will allow traders to deposit, withdraw, and trade XEM on COBINHOOD Exchange. Upon listing, XEM/BTC and XEM/USDT trading pairs will be available with ZERO TRADING FEES on COBINHOOD Exchange. • DO NOT deposit XEM from multi-signature wallets, or your transaction may be lost or invalid. • DO NOT deposit XEM through MOSAIC, or your transaction may be lost or invalid.